The Mountain Meadows Charitable Trust (MMCT) is looking for committed, caring and compassionate Christians. We need Christians who will dedicate their time as well as their talent and their will to the cause of Christ. 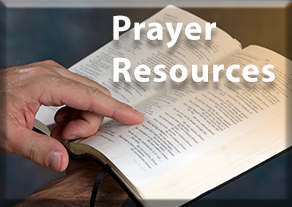 You will need a phone for a conference call once a week for prayer and praise to God and internet access to receive prayer requests via email from the Prayer Coordinator. We are looking for people who are not just curious, but have a true desire to pray for God's children. GOD IS LOVE! And our prayer team members love the Lord, and we stand in awe as He daily proves His love and compassion to us by answering our prayers. God's call to Intercessory prayer is a call for us to be like Christ, the one who is at the right hand of God, making intercession on our behalf. The continuous prayers of Jesus, as well as our constant prayers, rise like incense to God's Throne of grace as we stand in the gap for those in need. Intercessory prayer makes our hearts overflow with gratitude as we serve the body of Christ through this prayer ministry. MMCT would like to give you this same opportunity for spiritual fulfilment. Would you like to serve as one of our prayer team members? You will be able to pray in the convenience of your home or office and become a blessing to others while receiving a blessing yourself. If the Holy Spirit is prompting you to join forces with MMCT, please fill in the information below and submit it to us.